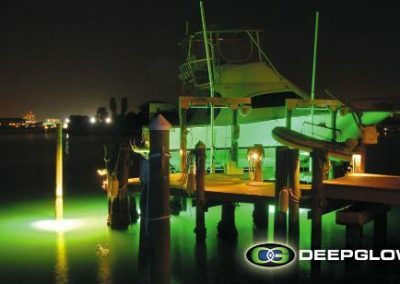 The World’s Premier Manufacturer of Underwater Dock Lights for Docks, Seawalls, Piers, Bridges & Marinas; for Salt or Freshwater, Fishing and More! 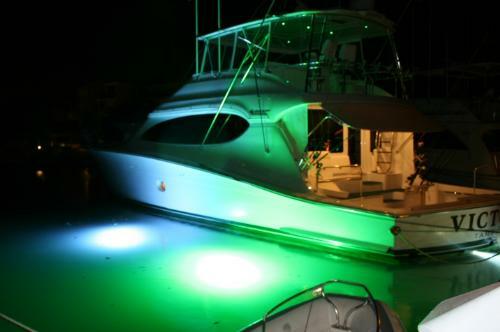 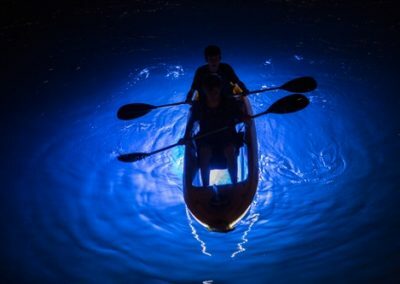 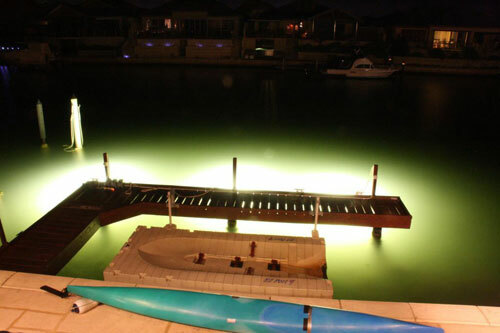 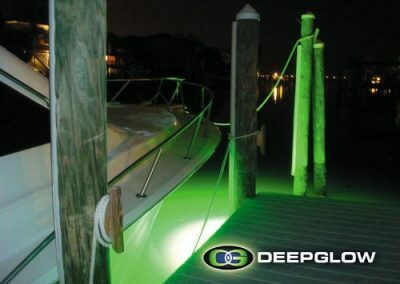 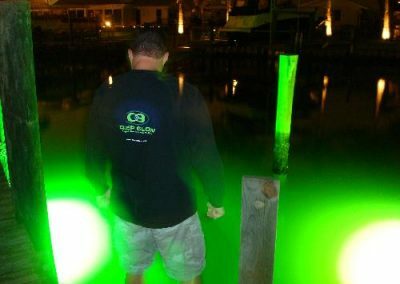 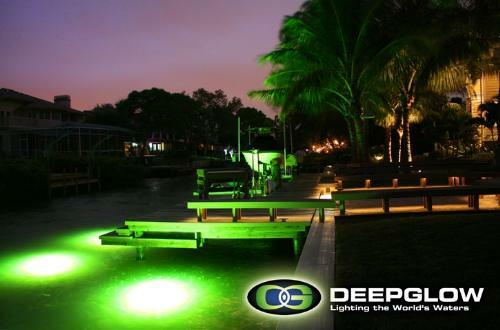 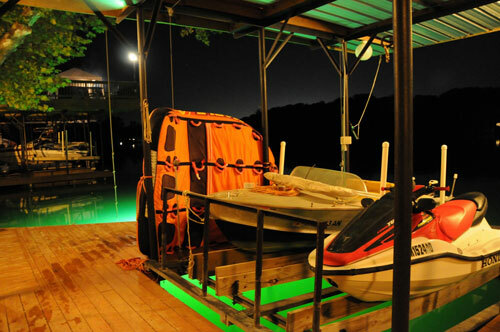 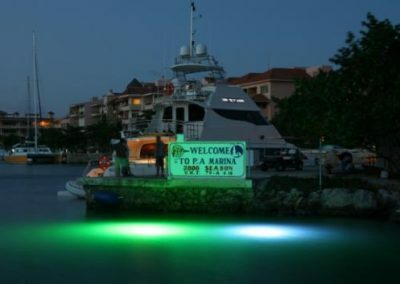 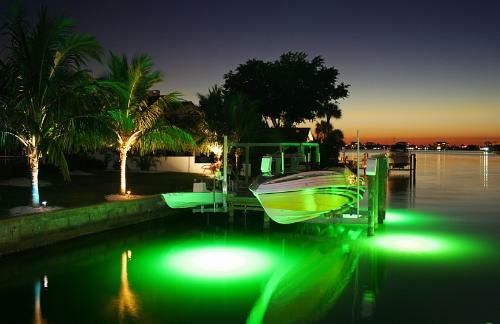 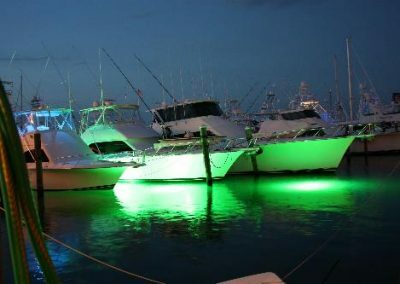 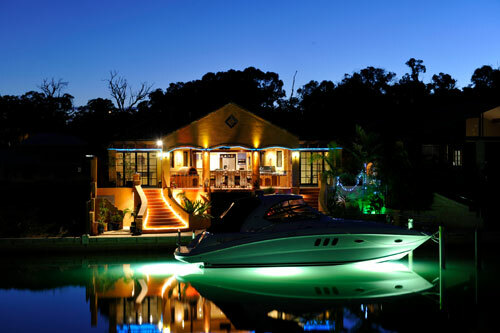 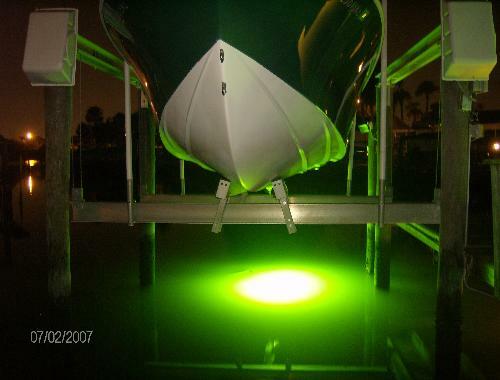 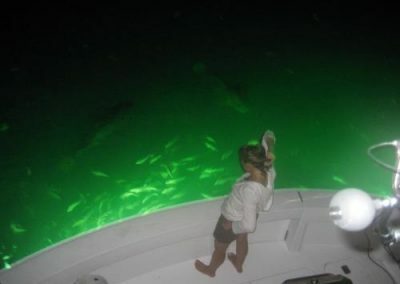 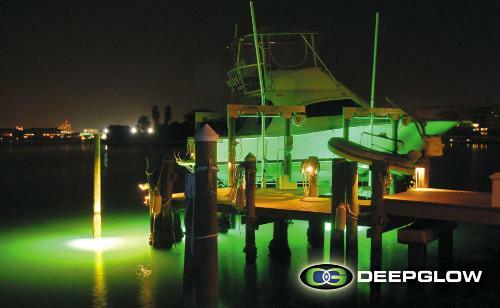 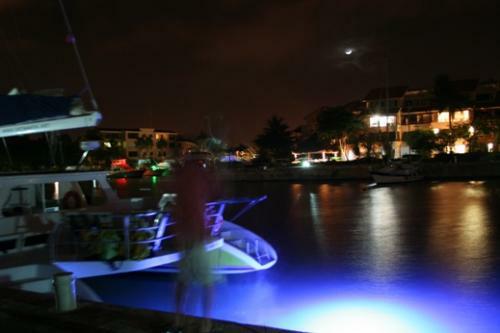 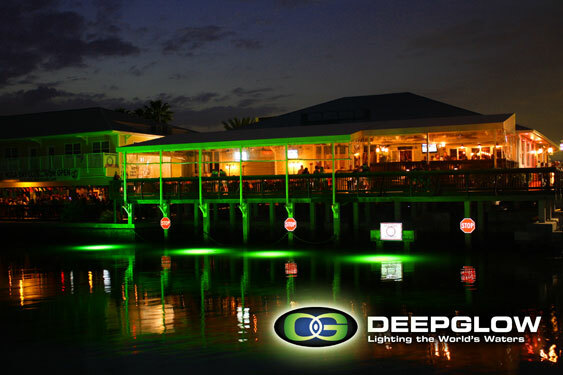 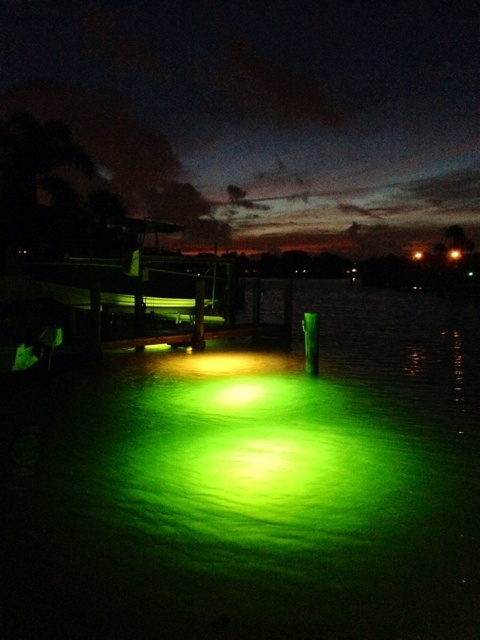 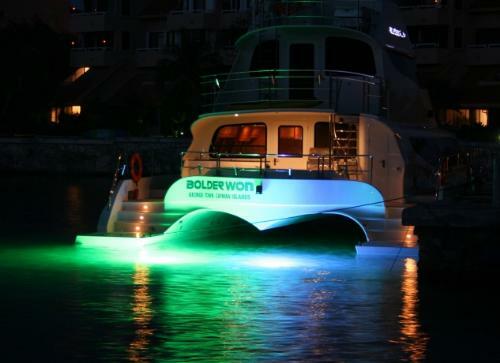 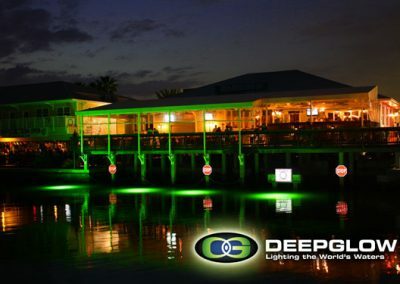 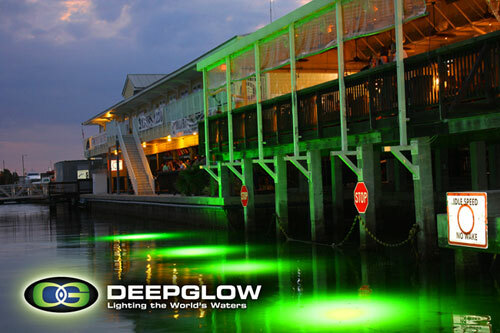 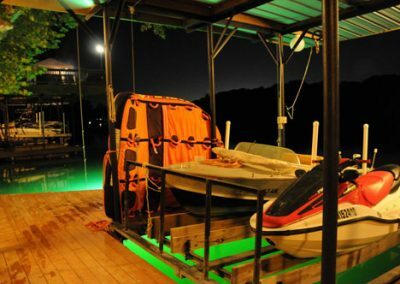 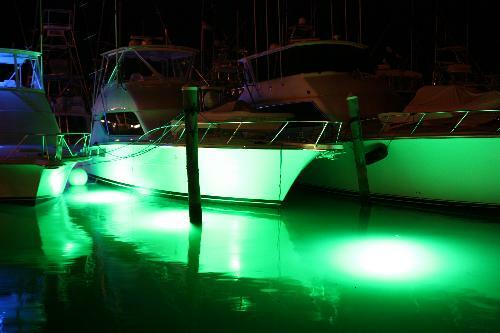 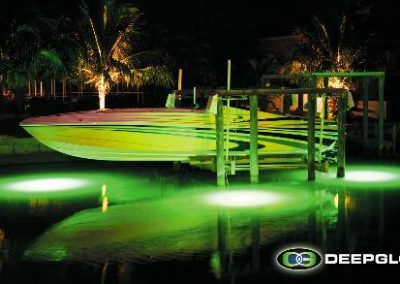 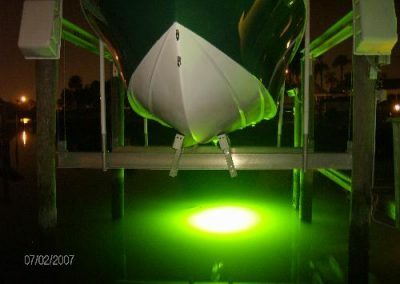 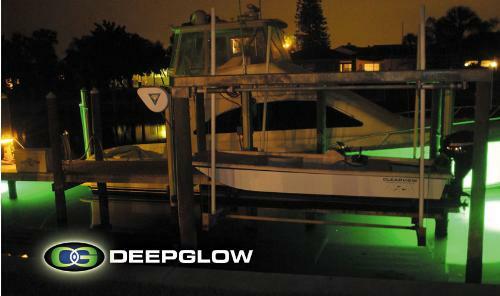 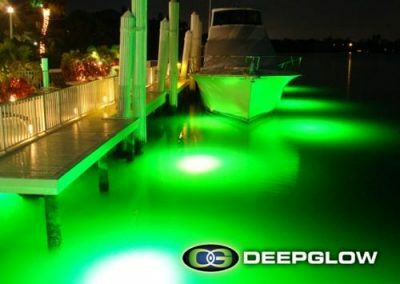 Deep Glow lights are up to 60% brighter than other underwater dock lights. 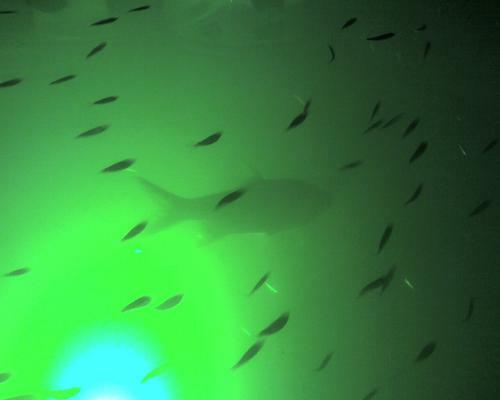 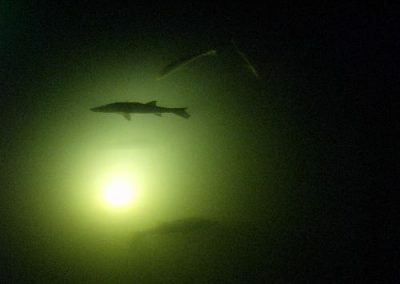 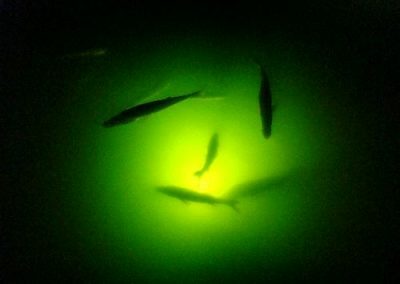 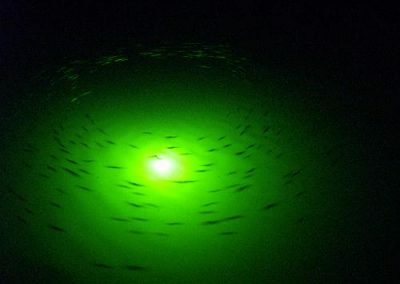 Reflecting all of the available light towards the surface creates a much brighter glow than other underwater lights. 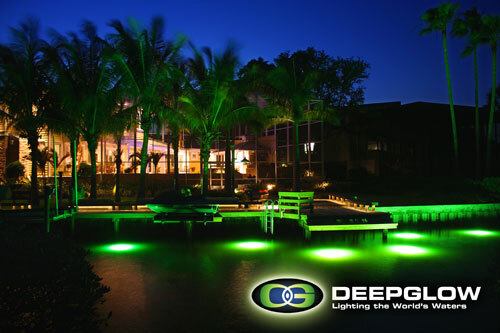 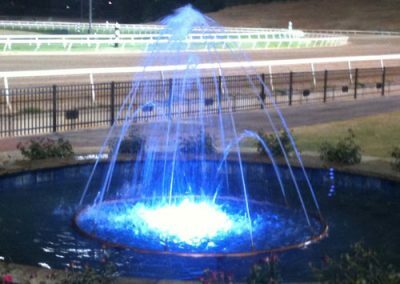 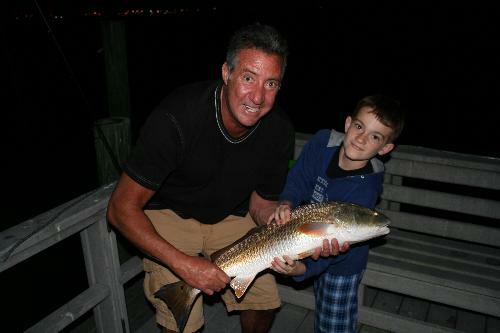 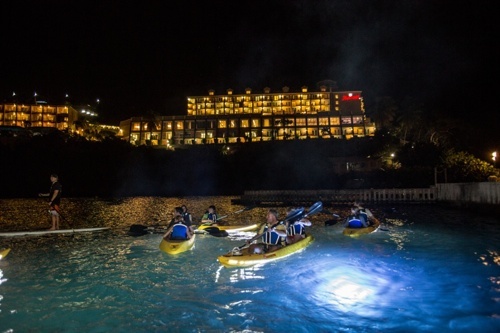 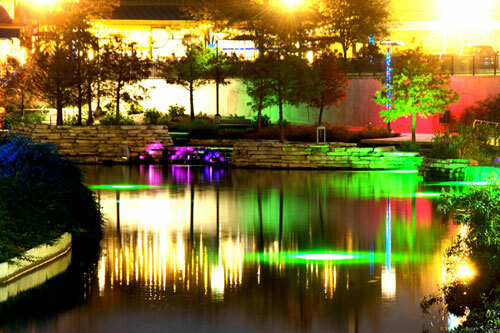 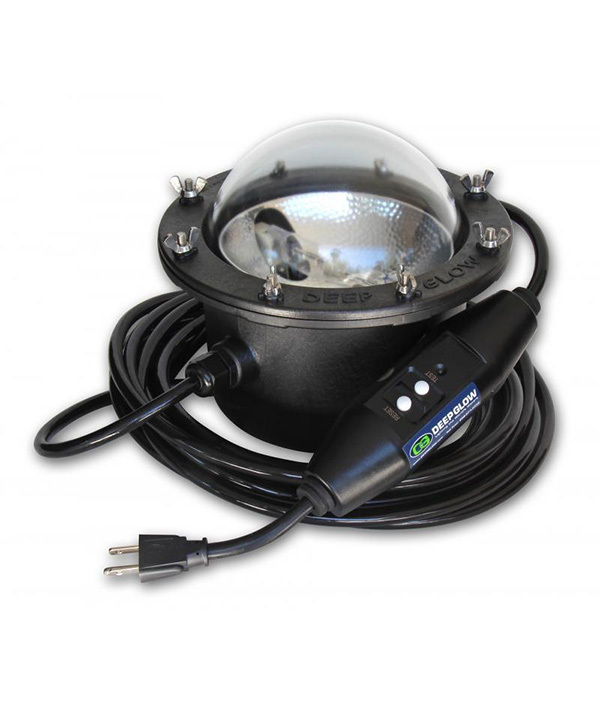 Depending on water clarity and depth, our lights can illuminate a diameter of up to 30 feet! 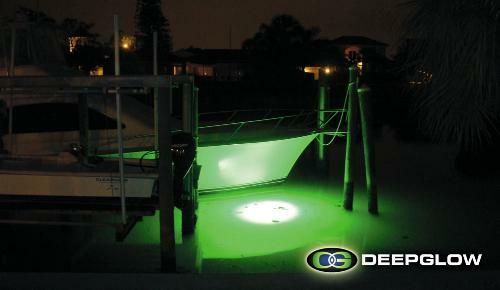 Our lights can withstand prop wash, wave action and even impact from cast nets. They are the toughest and lowest profile lights available, helping to avoid damage from outboard motor skegs and fishing lines. 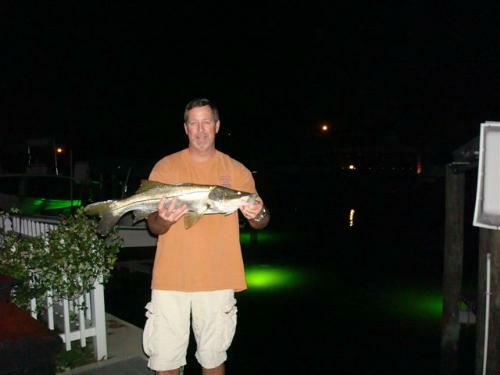 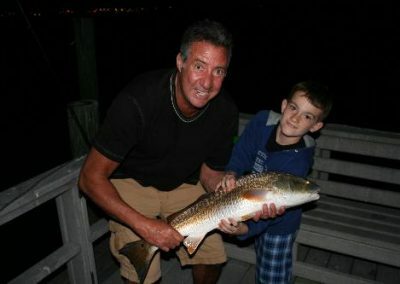 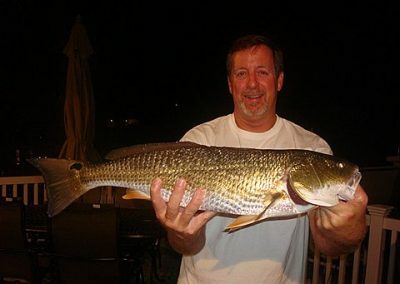 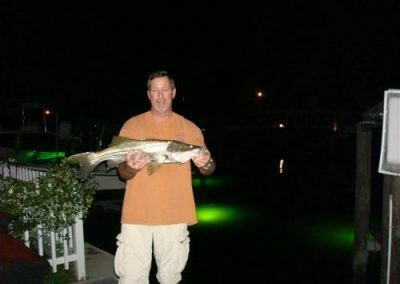 Deep Glow Lights are not only the toughest lights in the industry, they are brightest, easy to install and are well known for attracting fish. 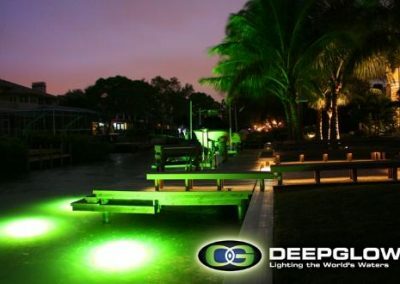 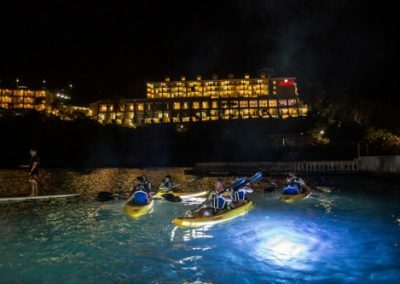 These high quality, patented underwater lights illuminate the waterways at night and are excellent at attracting fish; enhancing the surrounding beauty and provide an extra level of safety and security. 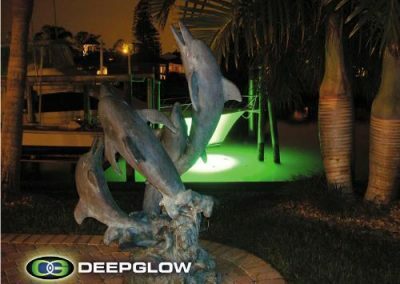 The lights create a virtual aquarium that everyone can enjoy. 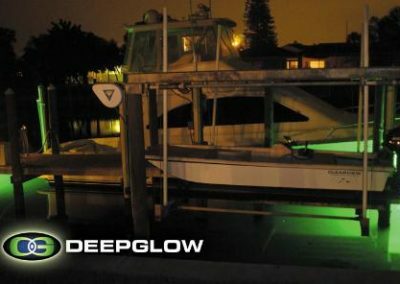 “It’s like having the Discovery Channel in your backyard!”. 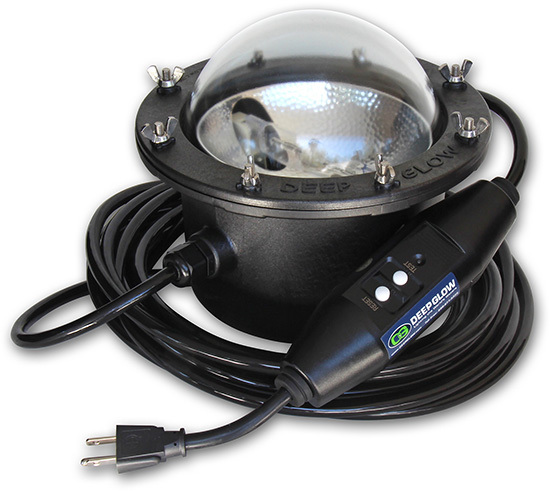 The lighting system includes everything you need to install your light in minutes without getting wet! 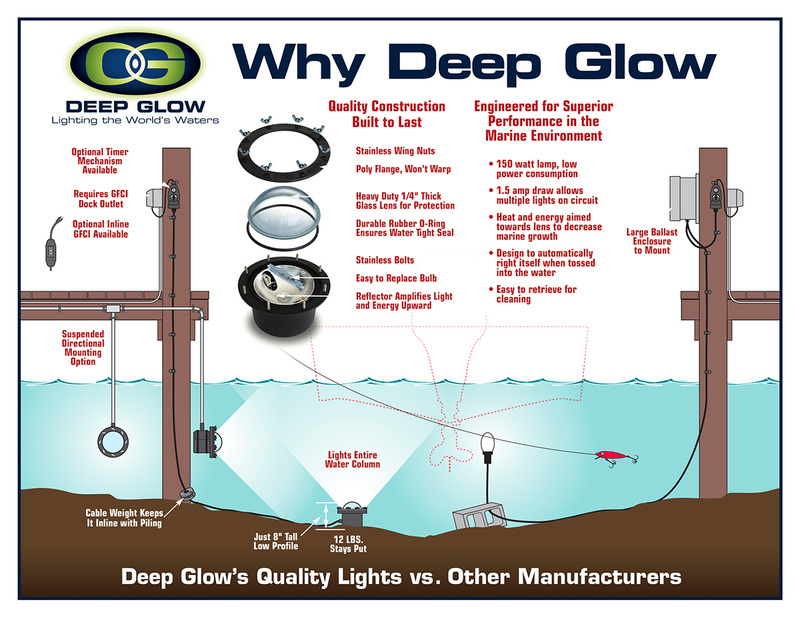 Length of cord is measured from the power source down to the bottom and out to the light. 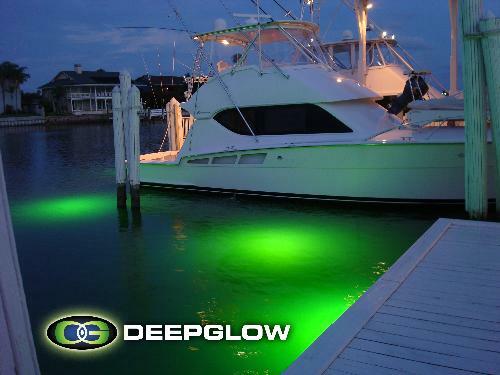 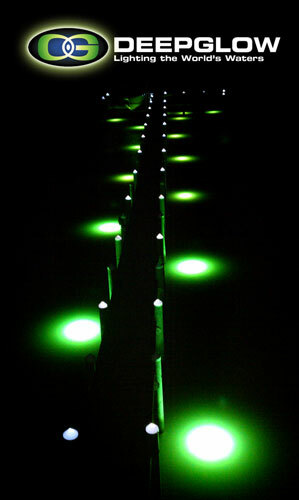 Deep Glow lights are designed to be easily installed in just minutes without getting wet. Simply secure cord to piling and drop or throw the light in the water at the desired location. The light will automatically right itself and land on the bottom facing the surface. 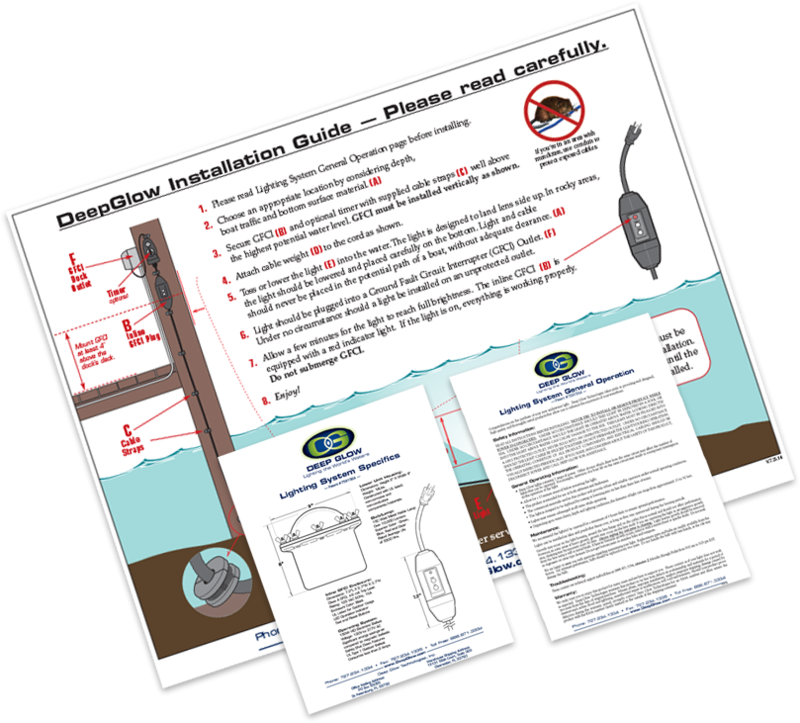 Plug the cord into the timer (optional) and plug the timer into your GFCI outlet. When the sun goes down, the fun will start! 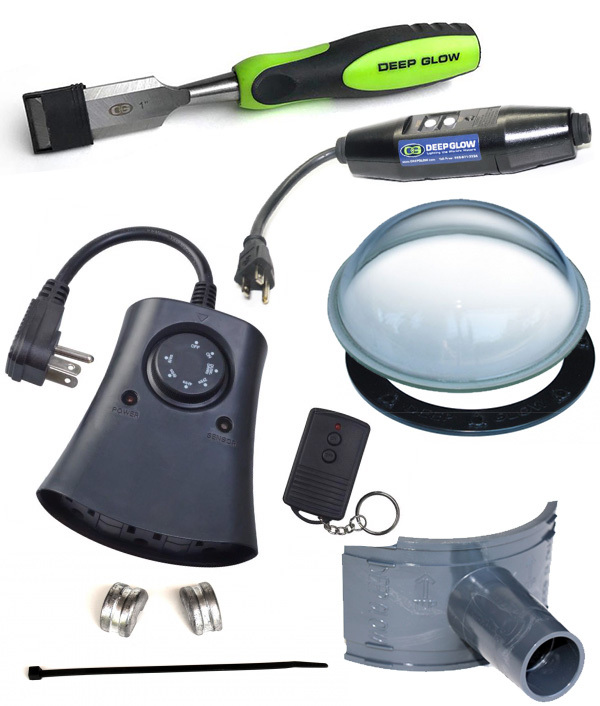 Removing the lights for storage or cleaning is just as easy. 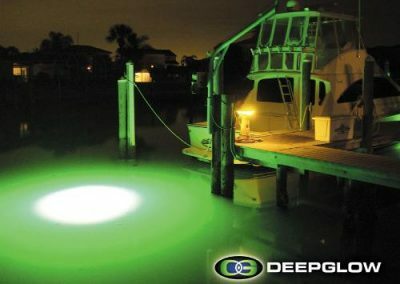 The light can be cleaned with the Deep Glow Cleaning Tool and returned to the water. 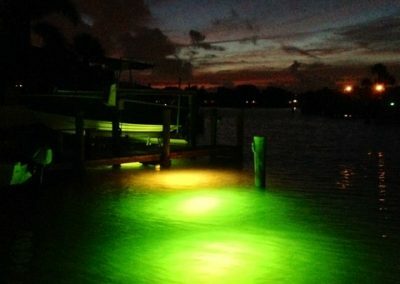 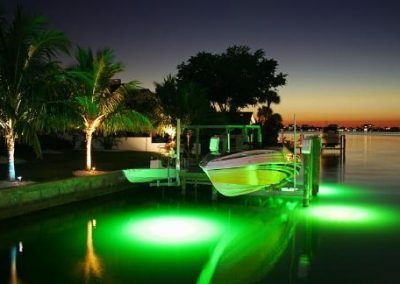 These high quality, patented underwater lights illuminate the waterways at night and are excellent at attracting fish as underwater green fishing lights or as dock lighting for beauty. The lights create a virtual aquarium that everyone can appreciate. 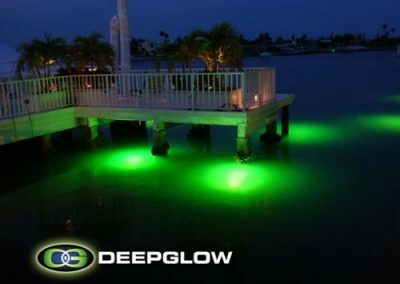 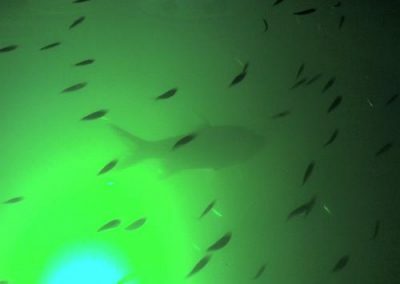 The Deep Glow Underwater Lighting System will illuminate your dock, pond or waterway to create a natural underwater habitat. 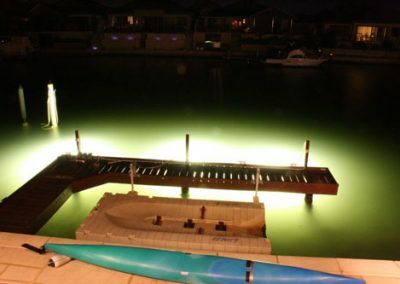 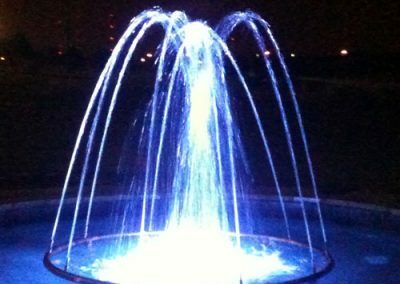 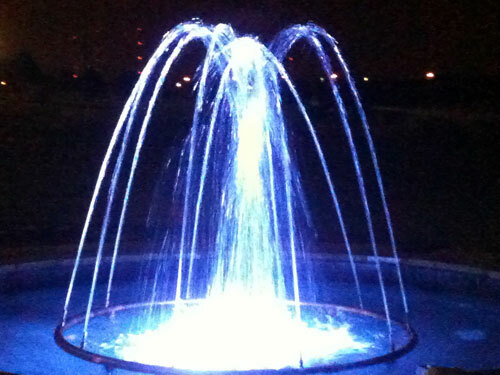 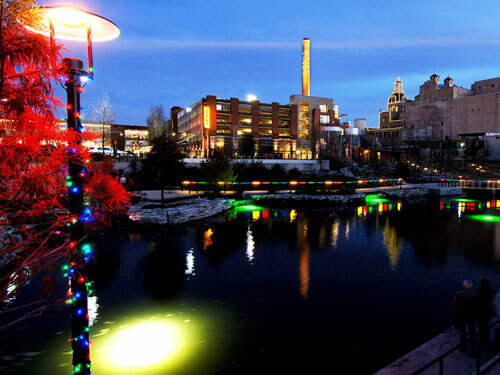 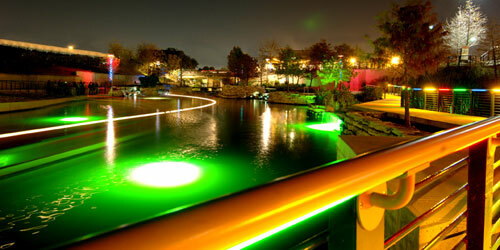 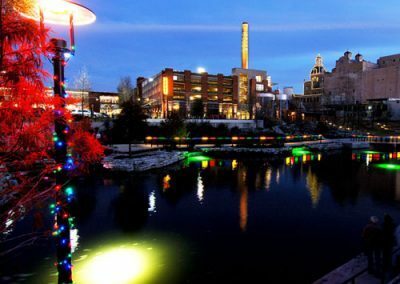 The beautiful glowing green or blue light illuminates the waters around your home or commercial property. 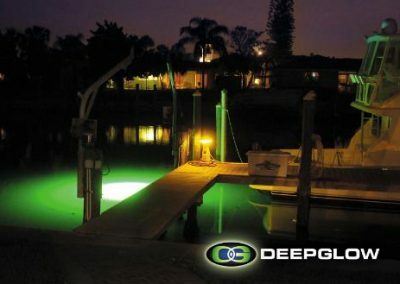 From replacement flanges and wing nuts to our new vertical mounting bracket, you can shop all Deep Glow Underwater Light parts here. 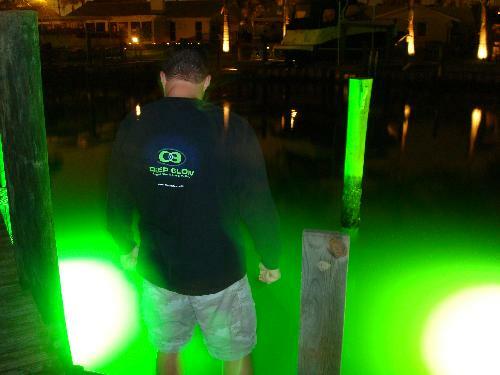 We even have Deep Glow branded Apparel as well as a variety of timers to schedule your glow. 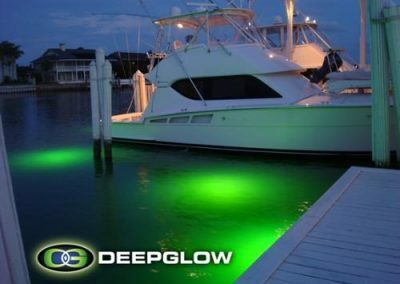 Keep your Deep Glow Underwater Lights shining brightly by replacing your bulbs regularly. 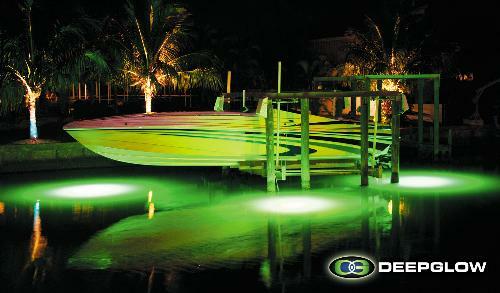 We make replacement a snap and offer colored bulbs for the type of water you are trying to illuminate. 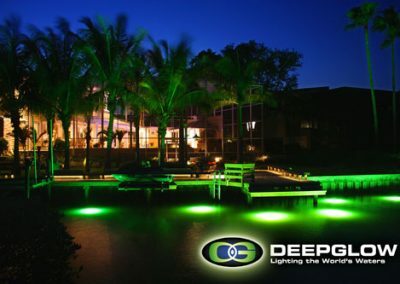 Your home has never shined brighter! 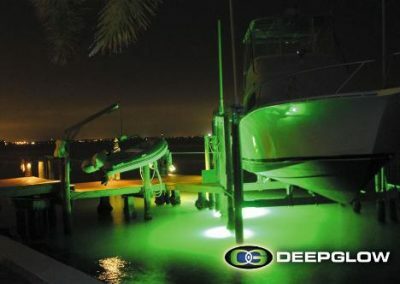 Greatest underwater lights on the market. 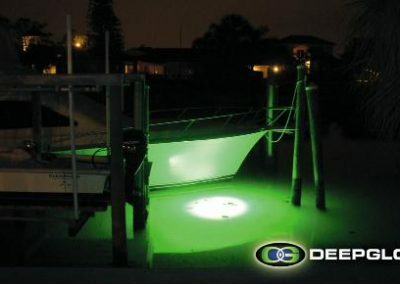 Our salesman was extremely helpful and I’ll be happy to recommend this product to all of my friends who live in the water. 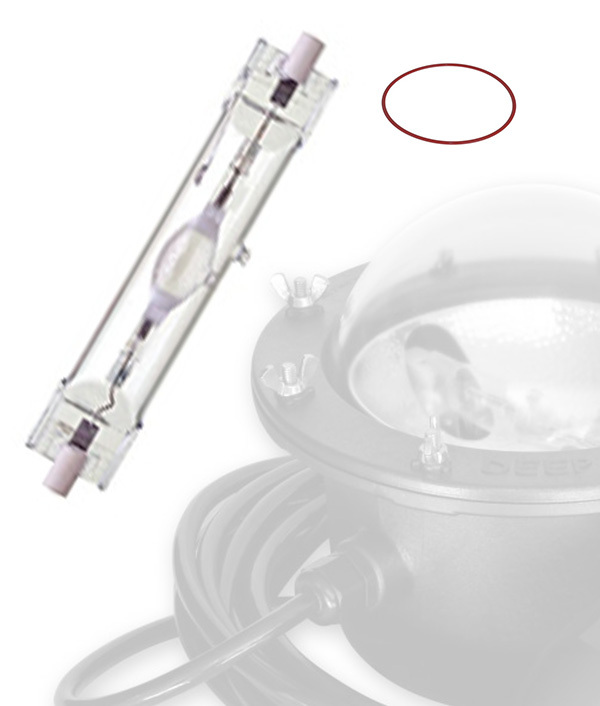 Talk about absolutely insane customer service…I bought a new light to replace a six-year-old light that had become inoperable (probably user error) Just for kicks I called…they sent me a return shipping label and refurbished the light for a fraction of what I paid for it. 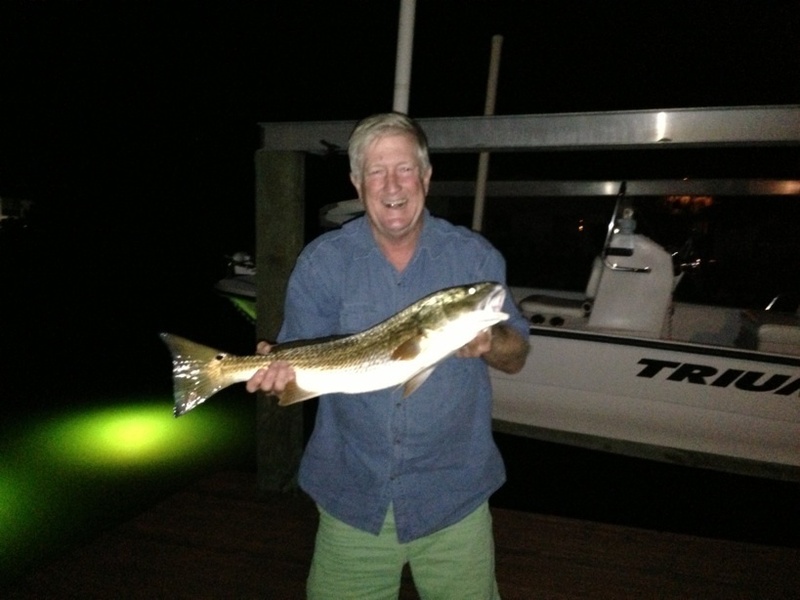 ….and got it working again! Love our Deep Glow light, we are moving and cant wait to put it in at our new home! 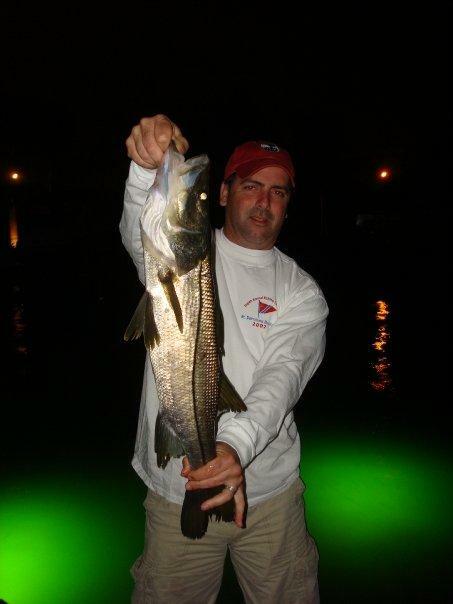 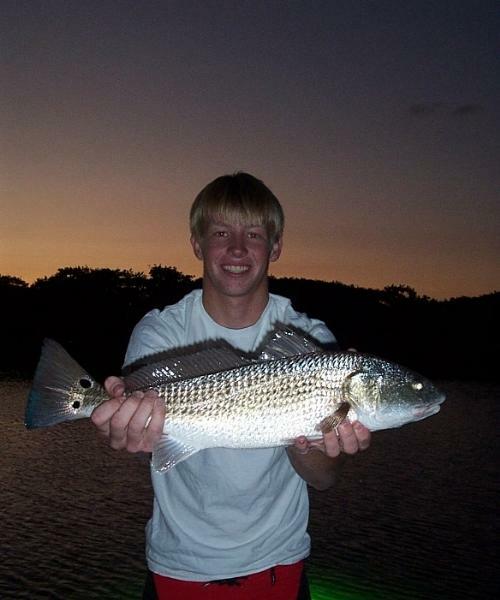 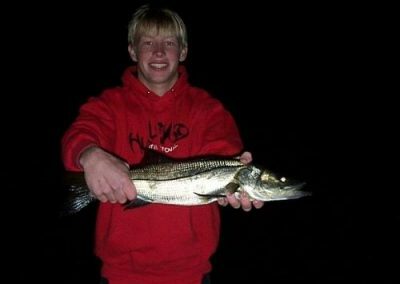 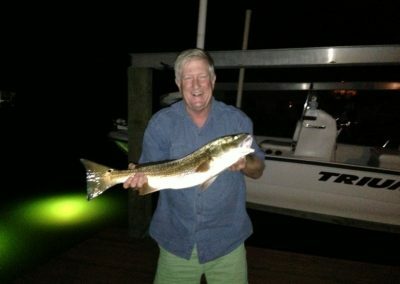 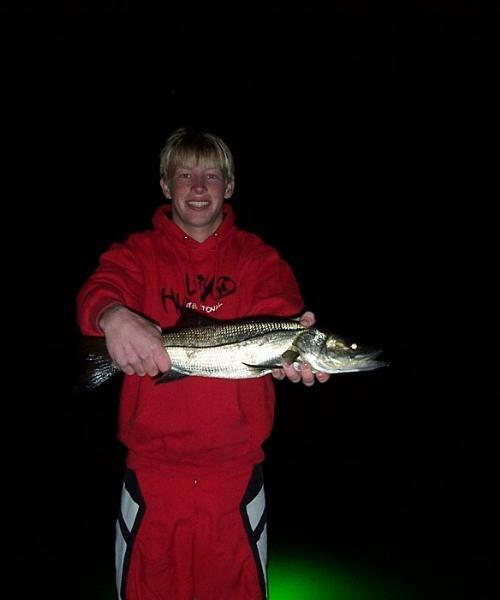 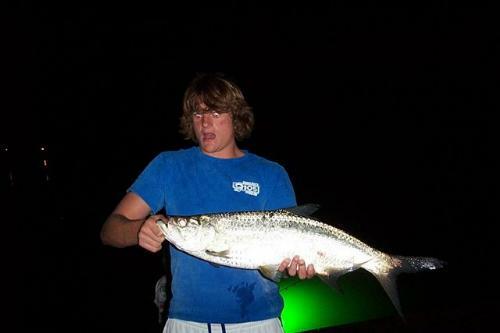 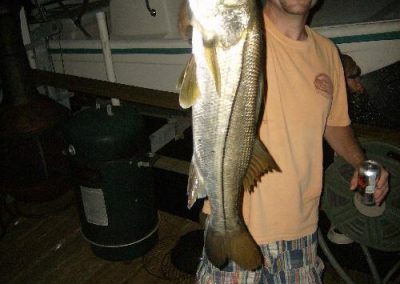 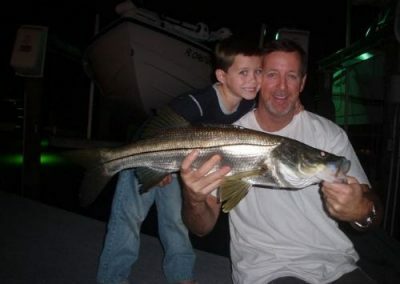 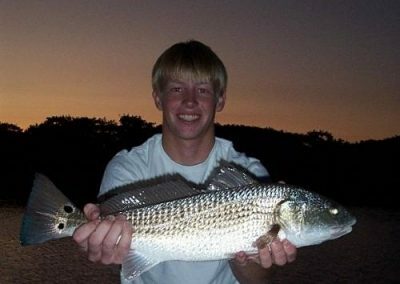 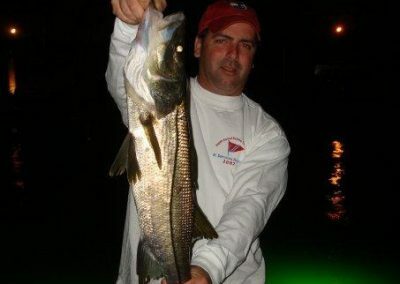 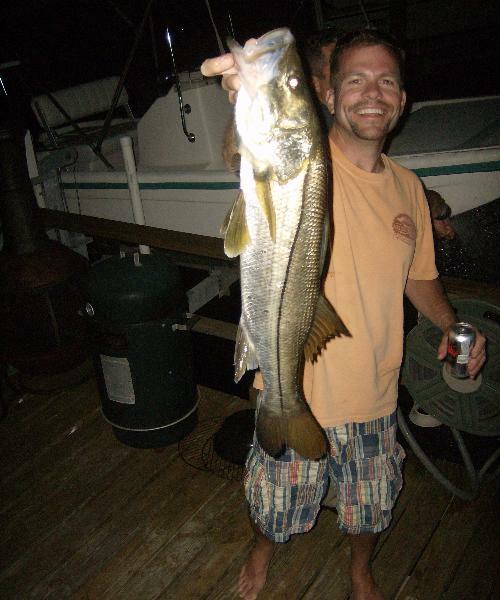 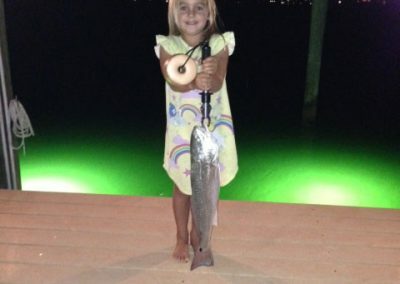 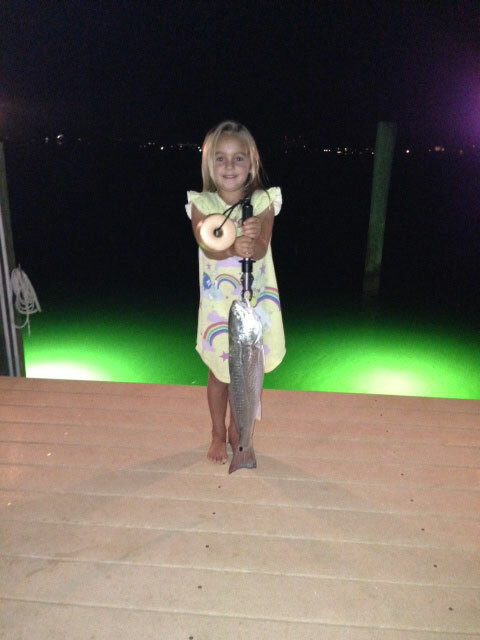 The snook are going to go crazy!